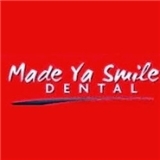 Made Ya Smile Dental (Kingwood) - Book Appointment Online! We provide a full-service, state-of-the art dental practice. In addition to Family Dentistry, we offer the latest technologies in Sedation, Cosmetic, Preventive and Restorative Dentistry. Our exceptional and experienced staff, partner with our patients to provide the healthiest, most beautiful smiles dentistry can offer. From the moment you step into our practice, until the moment you complete treatment, we want you to be comfortable and relaxed. Call us today to find out how we can help you smile again! I was seen right away and my visit was very good. I had no issues. There was one girl in the office seemed snotty and wouldn't even look at me while she was talking to me. She looked out the window the entire time she was talking to me which was strange to me, but the Dr. Is good and I have no problems going back. All in all I feel comfortable using them as my dental provider. The Made ya Smile staff was very friendly and inviting! They explained each step in full detail, answered any question I had, and seemed genuinely happy to help. Dr. Reid was very thorough and explained the reasons behind what he was doing. Overall, I had a great experience and would recommend them to anyone! Scheduled an appointment for teeth cleaning, was not informed I had to have a complete exam with x rays this visit as I was there 3 months prior for crown work and was told to schedule a visit for cleaning. After 11/2 in office having exam , x rays and Dr. consult, I was told I should have gum treatments in addition to cleaning. When I declined gum treatments, I was told I had to schedule another visit for teeth cleaning . I left office without having my cleaning ( as scheduled) and will not be going back there to have my teeth cleaned. A total waste of my time. That was the best service I have received in a dental office. Everyone was friendly and professional. I was given the price for each procedure that I needed in advance so I could make an informed decision on what I would have done today and what I needed to reschedule. I will tell everyone I know how great they are. I have already told family members to check with their insurance company and see if they can go there. Loved them!